Sure our cookies are free from: gluten, dairy, lactose, refined sugar, corn, wheat, butter or trans fats — but what we propose is more ambitious. With each cookie we want to challenge constraints, break-down barriers, dismantle myths and build bridges between those with allergies and none at all. Is this a lofty goal for a bake shop? Sure. Have we perfected it? YES. Open the box, pour yourself a cup of tea, relax, and take a bite. We love chocolate so much we wanted to give it some friends. And by friends we mean roasted hazelnuts. Our HAZELNUT CHOCOLATE CHIP COOKIES are the result of a love for food and interest in health. They’re crafted with ample time and equal passion, using the freshest and most flavorful ingredients. Oh, and they also happen to be free of gluten, and a bunch of other stuff. Giving — isn’t that what love is all about? You can find all our cookies in two perfect presentations: a nine unit box, and an individually packed jumbo cookie. We like to make your life easy. Made with sorghum, millet, teff, buckwheat and rice whole flours, flaxseed, psylliium fiber, whole cane sugar, coconut oil, roasted hazelnuts, and dark chocolate chips. GLUTEN & DAIRY FREE. Our DOUBLE CHOCOLATE & BANANA COOKIES are the result of a love for food and interest in health. They’re crafted with ample time and equal passion, using the freshest and most flavorful ingredients. Oh, and they also happen to be vegan, free of gluten — and a bunch of other stuff. The sweetness of banana is what takes this decadent cookie over the top. They’re perfect for sharing. So, try really hard not to devour them all by yourself. We dare you. Made with sorghum, millet, teff, buckwheat and rice whole flours, flaxseed, psylliium fiber, unsweetened pure cocoa powder, whole cane sugar, banana, coconut oil, roasted hazelnuts, and dark chocolate chips. GLUTEN, DAIRY FREE & EGG FREE. VEGAN. The ORANGE, CARDAMOM ALMOND COOKIE you’re about to eat brings it in spades. It’s the result of a love for food and interest in health — and was crafted with ample time and equal passion, using the freshest and most flavorful ingredients. Oh, and it also happens to be free of gluten, and a bunch of other stuff. Bright orange zest and fragrant cardamom combine to take this almond cookie over the top. They’re kinda addicting. Made with sorghum, millet, teff, buckwheat and rice whole flours, flaxseed, psylliium fiber, whole cane sugar, coconut oil, orange zest, cardamom, and a whole lot of almonds. GLUTEN, DAIRY & SOY FREE. Each RASPBERRY LIME OATIE is the result of a love for food and interest in health. They’re crafted with ample time and equal passion, using the freshest and most flavorful ingredients. Oh, and they also happen to be free of gluten, and a bunch of other stuff. The refreshing combination of lime and raspberry gives a jolt to the wholesome oat biscuit. Did we just suggest you can have these for breakfast? Yes! Yes, we did. Made with sorghum, millet, teff, buckwheat and rice whole flours, flaxseed, psylliium fiber, whole cane sugar, coconut oil, raspberries, lime zest and pulp. GLUTEN, DAIRY FREE & SOY FREE. The LEMON CHIA COOKIE you’re about to eat changes everything. It’s the result of a love for food and interest in health — and was crafted with ample time and equal passion, using the freshest and most flavorful ingredients. Oh, and it also happens to be free of gluten, and a bunch of other stuff. These crisp, delicate cookies balance a delightful citrus tang with a chia seed crunch. Lemon lovers are going to flip. Made with sorghum, millet, teff, buckwheat and rice whole flours, flaxseed, psylliium fiber, whole cane sugar, coconut oil, lemon zest and pulp, and a very generous amount of chia seeds. GLUTEN, DAIRY & SOY FREE. Who says you can’t improve on tradition. Our SPICED CARROT COOKIES are the result of a love for food and interest in health. They’re crafted with ample time and equal passion, using the freshest and most flavorful ingredients. Oh, and they also happen to be free of gluten, and a bunch of other stuff. The sweetness of carrots, married with the perfect blend of spices, tastes like a crunchy piece of carrot cake. It’s legendary. Made with sorghum, millet, teff, buckwheat and rice whole flours, flaxseed, psylliium fiber, whole cane sugar, coconut oil, hazelnuts, spices, and a crazy amount of shredded carrots,. GLUTEN, DAIRY & SOY FREE. Our Brownies and Blondies are nothing short of a miracle. A product that traditionally relies heavily of saturated fats and dairy, you can now enjoy at Milola free from most of the things you want to avoid. Made with olive or sunflower oil, dairy free, high in protein, packed with nutritious whole grains such as millet, sorghum, teff, almonds and hazelnuts. All options are also refined sugar free. And needless to say, gluten free. Indulging has never been this easy and guilt-free. Our first and best creation, distinctive of Milola since our inception. A personal take on a classic that defies the traditional concept, and comes to prove that there are no limits for a curious and daring bakery. This brownie has been baptized by our customers "the very best brownie in the world" and frankly, who are we to contradict them? Rich but light, 100% whole grains, almond, sorghum and hazelnuts. Gluten free, dairy free, refined anything free. Just. Pure. Heaven. GLUTEN & DAIRY FREE. 100% WHOLE GRAINS. Lemon poppy. May I add more? There's virtually nobody out there who doesn't love this combo. The citrus tang of the lemons and the poppy seed crunch is such a match made in heaven, that there's hardly anything else to add. So you are on a diet, you want to look good on a bikini, or you just like to eat healthy, mindfully. And yes, you do enjoy a little sweet every now and then, but something wholesome and as natural as possible. Fear not! Milola to the rescue! This spiced carrot blondie is just that. So light, so wholesome, so flavorful, packed with protein and naturally sweet, with tons of carrots and a hint of whole cane sugar. A-ma-zing! GLUTEN, DAIRY & SOY FREE. The vegan version of our famous chocolate brownie, and a new challenge to the preconceptions healthy, nutritious treats: you cannot ask for more flavor and richness, with fewer calories! This beauty is made with sorghum, millet, teff, buckwheat and rice whole flours, flaxseed, banana puree, unsweetened pure cocoa, and whole cane sugar. The perfect bite. GLUTEN, DAIRY & EGG FREE. VEGAN. Our muffins are perhaps the one thing our customers feel more passionate about. And although their enthusiasm never ceases to surprise us, the fact is that our muffins are the result and a true reflection of our attitude to baking. They are the first product we worked on zealously, to get that balance between taste, nutrition and sheer indulgence we strive for every day in our bakery, and the foundation of everything we do. The result? No one describes it better than our customers. Oh, and they are all gluten free, dairy free, make with whole grains and whole cane sugar. Our muffins are an absolute guilt free treat. Packed with fiber, vegetable protein, tons of nutrition and amazing flavor from our whole grains: oats, millet, rice, sorghum, teff, buckwheat, flaxseed, and a touch of cardamon. Truly irresistible. GLUTEN, DAIRY & SOY FREE. People love our blueberry muffin so much, I'm pretty sure some have married it. I mean, who doesn't love REAL blueberries? This muffin is all real. Packed with fiber, vegetable protein, tons of nutrition and amazing flavor from our whole grains, a hint of lemon, and of course, the stars of the show: blueberries. Tons of them. GLUTEN, DAIRY & SOY FREE. You could never guess when you bite into this muffin that it is packed with whole grains and nutrition. And that's the point - we only want you to enjoy the intensity of this beautiful treat. The rest is up to us. And we have your back. Enjoy. GLUTEN & DAIRY FREE. The orange zest elevates the flavor of the pumpkin and makes it shine bright. This is a match made in heaven. And then we add our own mix of spices and that just gives this muffin that je ne sais quoi that makes them irresistible. You won't be able to stop eating them. EVER. They are too good. And listen, I'm not even going to tell you how healthy and nutritious they are, because the taste is too spectacular that there's no point in saying more. GLUTEN, DAIRY & SOY FREE. With our cakes is where we go all out. Where we let our creativity soar and reach for new heights.This is where that delicate balance between health and delight truly gets challenging, and where we believe we succeed at our best. These cakes are packed with wholesome ingredients, with nutrition and flavor. But they are also delicate, luxurious, and an absolute treat. We love them. And we feel incredibly proud of the dedication, the love, the attention to detail, and research that goes into these beauties. So many people tell us that they can no longer enjoy any other cakes! And we fully understand, because neither can we. Once you try them, and experience the feeling of lightness together with the myriad of flavors that come with it, there is simply no way back! So sit, relax, and enjoy! A great classic, and our customer's favorite! Made with sorghum, millet, teff, buckwheat and rice whole flours. With the perfect mix of spices, walnut, and shredded coconut . And best of all, our heavenly cream cheese, agave and vanilla frosting. No wonder most of our customers want to take jars of frosting on the side to eat by the spoonful! It is soft, light, unique. There are many carrot cakes, but none like Milola's! Our own tribute to the beloved Claudia Roden, and a way to honor the richness and diversity of our history. A cake of Sephardic tradition, flour free, made with whole oranges, orange blossom water, almond meal and agave. Covered in dark chocolate. A beautifully balanced cake. Gluten, sugar and dairy free. All flavor and nutrition. Baking this cake brings us happiness. Eating it...makes time stand still. A seductive and romantic cake, of an intense red color and with the genuine taste of pure cocoa. Dressed with our famous cream cheese, vanilla and agave frosting. This cake is so beloved by our customers, that some travel extraordinary distances to get it, and wait as long as needed, and whose enthusiasm makes us feel eternally grateful. We are always surprised by the absolute happiness that this cake brings amongst them, and we could film a movie with all the funny scenes we have witnessed around it. It awakens real passion, and let's be honest, even some fights on who gets the biggest portion! :-) And just like the rest of our cakes, it is made with our own blend of gluten free whole flour and no refined sugar (we actually have never had refined sugar at our bakery. Isn't that funny? Our own take of a classic, with a few tweaks that make this a very special cake. The sponge is made with pure unsweetened cocoa and our own mix of gluten free grains, where teff predominates. I can't tell you how much teff and cocoa love each other. The result is a moist and flavorful sponge, and personally, my very favorite. We then soak it with a coffee syrup, and dress it up with our cream cheese, agave, and coffee frosting. It is perfect. So much so, that it has become a favorite amongst our Italian customers. Sometimes, daring to twist a classic has its rewards. A cake that lives up to its personality. I mean: banana, pineapple, coconut, pecan nuts, cream cheese and agave frosting ... it's daring, it makes no apologies, it doesn't ask for permission and it seduces you instantly. This cake is so delicious you'll be humming like a bird. And yes, the frosting is indeed our famous cream cheese and agave frosting. You know the one? The one you ask us to sell you by the jar, to eat by the spoonful? Yes, that one. You're welcome. It is no secret that coconut is one of those flavors for which there are no half measures: people either love it, or reject it categorically. Well, this cake has turned coconut haters into fervent fans. There's really not much more I can add. Because the combination of our favorite chocolate sponge with this soft coconut dairy-free mousse is absolutely heavenly. Since I was a little girl, I had been trying to recreate a healthy, adult version of a cake we all used to eat in our childhood. And here it is. Our cacao and teff sponge, a match made in heaven, filled with raspberry jam, and dressed in a delicate, soft, dairy free chocolate mousse. To have it, is to love it. Almond and lemon zest sponge, filled with our vegan lemon curd, and frosted in a divine, brown sugar, caramelized meringue. Mic drop !! 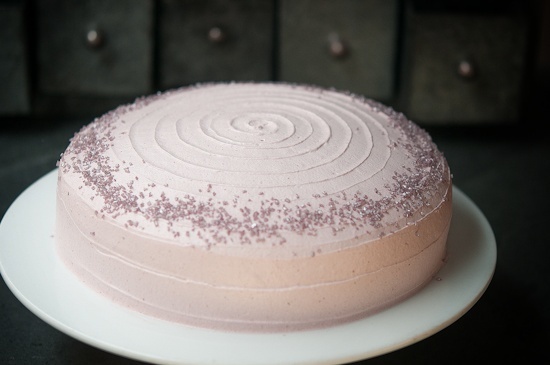 This cake is beautiful, delicate and absolutely delicious. 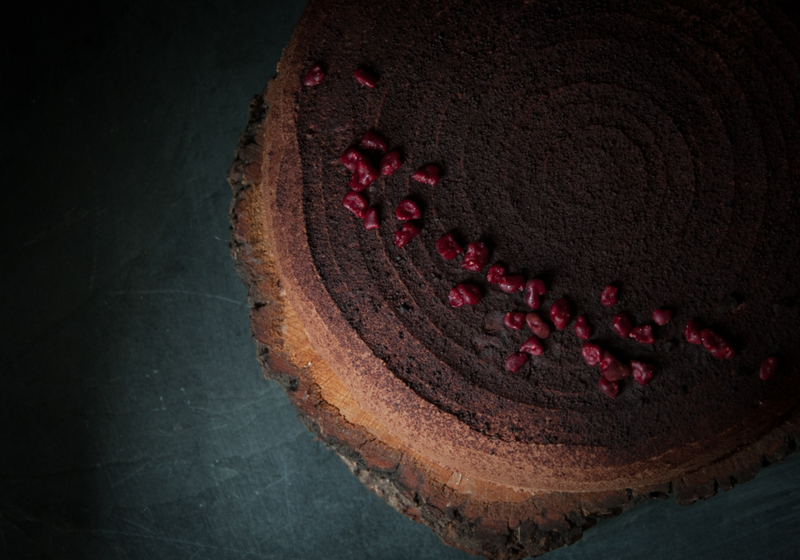 The combination of our chocolate sponge with our dairy free forest fruits flavourful mousse is simply perfect. A super light vanilla sponge cake, filled with a dairy-free pastry cream, frosted with an intense dairy free chocolate mousse and praline almonds. Classic flavors, updated to satisfy our philosophy of making everything more nutritious, healthy, and tasty. Almond and lemon sponge cake, with a soft and refreshing dairy free lemon mousse, and a dark chocolate ganache. One of those flavor combos Milola has you so accostumed to. Because we live to make you happy. Bread that tastes like bread. Make through a process of long and slow fermentation, to develop its complex flavour. With sorghum, millet, teff, and rice whole flour. Focaccia with the intense and delicious flavour of our whole grain flours: millet, sorghum, teff, buckwheat, rice, flaxseed, pysillium. Rich in fiber and vegetable protein. But most of all, rich in flavour. I'll let you in a little secret: it is now a tradition, when we are baking them, to sprinkle a few with extra virgin olive oil just as they come out of the oven, and pass them around. It gives us all the strength we need for the day ahead. When we need a slightly smaller size than the focaccia, our oregano bun is the perfect choice. Made with our own blend of whole grain flours: millet, sorghum, teff, buckwheat, rice, flaxseed, psyllium. Rich in fiber and vegetable protein. Fermented slowly to develop all of its flavor, and to contribute positively to our digestive health. A very slow fermentation, and a generous amount of olives give this focaccia an intense and deliciously Mediterramean flavor. Made with our own blend of whole grain flours: millet, sorghum, teff, buckwheat, rice, flaxseed, psyllium. Rich in fiber and vegetable protein. The "petite" version of our olive and oregano focaccia. An ideal size for the food & beverage industry. With the intense flavor of our nutritious blend of whole grain flours: millet, sorghum, teff, buckwheat, rice, flaxseed, psyllium. Rich in fiber and vegetable protein. Our gluten free loaf has a more than deserved great reputation amongts our customers. It has a beautiful crust, and a perfect, flavourful crumb. It is a beauty. We fermented slowly over two days, allowing it to develop fully into one of those breads that takes us back to childhood. Fresh out of the oven is amazing, but it is also the ideal bread to make a frech toast, or a bread and butter pudding. Gone are the days of not being able to enjoy a proper burguer because the gluten free bun crumbles into a thousand pieces. Our poppy seed roll has flavor, texture, body, and the ideal size for a burguer, or a sandwick. Slowly fermented, and made with our nutritious blend of whole grain flours: millet, sorghum, teff, buckwheat, rice, flaxseed, psyllium. Rich in fiber and vegetable protein. Bon appetit!